I say, you say, weren’t you listening? One summer, when I was 18, and feeling awfully adult, I took a train, and then a bus, to a small beach town where a friend of mine was staying with her family, expecting that, as we’d arranged, she would meet me when I got off the bus in town. 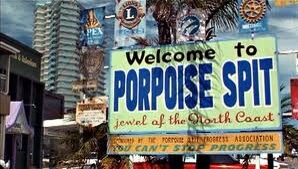 Porpoise Spit. An exquisite little beach town somewhere in Australia. To my surprise, she was not there. I didn’t panic, at first. I waited around the bus stop, thinking that she must be running late, then waited a bit longer, thinking perhaps she had the time wrong. After maybe an hour or more, I started to feel worried, so I went to a phone box. (For those playing at home, a phone box was a large receptacle that one could step into, and, by means of dropping coins into a large clunky telephone, and dialling or pressing buttons, make phone calls on a landline. They were also sometimes used by superheroes as handy, if not exactly private, places to change into their superhero costume). I had no idea if my friend was staying in a house, caravan, or tent, and all the information I had was, on a scrap of paper, a phone number that my friend had given me. It was a strange looking phone number, as, at that time, local numbers had 6 digits in country areas or 7 in the city, and an area code that started with a “0” was only required if you were calling from outside a specific zone. This number had 10 digits, and started with a 0. I wasn’t sure what to expect when I dialled, but it certainly wasn’t to be greeted with an automated voice recording saying that the number I had called was “out of range,” and to try again later. I had never heard that terminology before, and did not know what it meant. My slight worry suddenly became panic, as it dawned on me that the phone number I was carrying was incorrect, or at least unreliable, and I had no other details about where my friend was staying. That was the beginning of a very long and tiring day. I spent that entire afternoon, from about midday until 6pm, utilising every detective skill I could muster to try and locate my friend’s family. I visited the post office, and checked through phone books to look for listings under their last name. I scrutinised maps of the town to work out where those addresses were, drew myself a copy of the streets as best I could, marked off where those residences were, and then traipsed across town to locate them, only to be disappointed each time. I visited real estate agents to ask for holiday listings, to no avail. 04 IS the area code to call Queensland from another state in Australia, but as it happens, 04 is also the standard two numbers at the beginning of the standard 10 digits that make up mobile phone numbers in Australia. But this story took place back in 1988, and mobile phones were still advanced technology, probably only utilised by people who worked in the industry, such as my friend’s father, who was a salesman of telecommunications products, for Telecom, the National (and only) phone line and service provider. 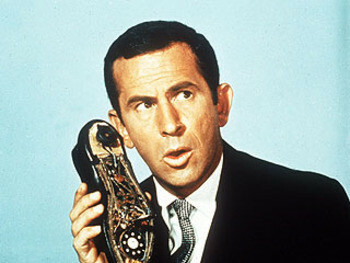 Clearly when it came to the layperson, at least 2 people – myself and the helpful person at the post office – had never come across the concept of a mobile phone before, aside from Maxwell Smart’s shoe phone. Hello, 99…Hello? Damn shoe phone – it’s out of range! I didn’t know what being “out of range” meant back then, and all I could do was cling to the hope that at some stage during the day the phone would be “within range”. Throughout the entire day, as I criss-crossed town in my attempt to locate my friend’s holiday residence, I stopped at every phone box I came to and tried the number, only to have my heart sink each time when I heard the same Out Of Range message start up again. Finally, at around 6pm, I was back in the centre of town again and figuring that I would have to go back and see my new friend the real estate agent before she closed up. I thought I would try phoning one last time. To my astonishment, this time my friend’s mother answered the phone. I can still remember the uncharacteristic haste with which I bypassed the usual polite niceties and just blurted out who I was and where I was. I guessed there was a possibility that the phone could go “out of range” at any moment, and I needed the crucial details to be conveyed before that happened. My friend’s mother, in turn, was outraged that I’d been left to wander around town all afternoon with no-one knowing I was there, and sent family members on a rescue mission immediately. Soon after I was sitting in comfort, in their caravan at the caravan park. At the closing of this saga, let it be noted that I was not even annoyed at my friend (who was always a sweet but slightly vague girl, who had simply got the day of our arrangement wrong) because I was so utterly relieved to finally be settled for the evening. Mostly, I think I was intrigued to meet the creature that had caused me such angst. It looked something like the one I’ve located in the picture above: the battery component was about the size of a small suitcase, or a large hard-drive, with a phone attachment on top. It charged in the car, but was used in the caravan – on the odd occasion when it was in range. In 1988, mobile networks were not what they are today. Regular readers may be aware that often, though not always, the titles of my posts are titles, or lyrics, from songs. Sometimes I use titles, or lyrics, from Australian songs, and I realise these may not be more widely known, which may hinder some readers from gleaning that there is any ongoing “game” to the titles of my posts. So I just thought I’d clue you in that the title of this post is a lyric from a 1980’s big-hair band called Pseudo Echo. This song sounds a lot like something by Blancmange, if you happen to remember them!